I’ve never made a pattern before and I’m not sure this is a prime example – I didn’t want it to be an exact repeat but I don’t think the balance is quite right. Anyhoo, no harm in documenting some kind of process. 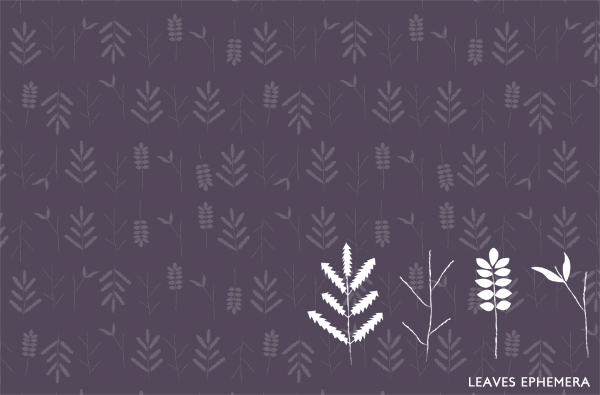 Leaves are fairly straight forward things. And I’m so over swishes and swirls (working with template based wedding invites does that to you). Happy to offer as a freebee if anyone thinks they might have a use for it. Just comment – and I’ll put the file up. Suggestions/tips are welcome. I have yet to do much reading on pattern making.